More than 280,000 people suffer cardiac arrest each year, with 80 percent of those cases occurring outside the hospital. As a result, survival rates are very low – less than 10 percent, according to the American Heart Association. The National Cancer Institute recommends women over the age of 40 get a mammogram screening every one to two years. However, not all women heed this recommendation. What causes a hot flash? Belly fat is a nuisance. It makes clothes fit tight. It doesn’t go away easily. And it’s bad for your health. For most of us, we tend to focus on how to lose our belly fat for purposes of looking and feeling better. There are countless articles on tips for losing belly fat or the best foods to fight belly fat. 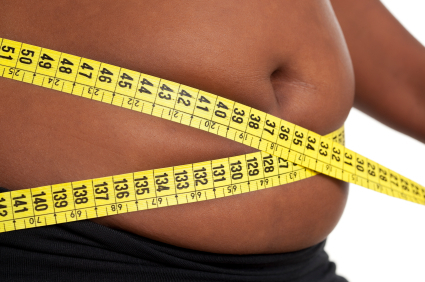 Belly fat, though, is not just a problem for vanity. Obese and Healthy? For Some, Yes. Some obese people have no greater risk of cardiovascular disease or cancer than normal-weight people, a new study suggests. Moreover, for patients with heart disease, being obese may actually reduce the risk of death, a phenomenon called the "obesity paradox," another study finds. Early detection and treatment are key to surviving cancer. Both men and women can greatly improve their outcomes if they recognize the symptoms of cancer early. Would you know what to look for? We have broken down a list for men specifically. Please share this important life-saving information with your friends and family. If you have any questions about these symptoms specific to your health, contact your primary care physician. Celebrating our nation’s independence with family and friends typically centers around food, fun, and especially fireworks! But that fun can be quickly doused when something goes wrong. In 2010, 8600 injuries were the result of fireworks, with 2 out of every 5 of those injured under the age of 15. Also, more fires are reported on the 4th of July than any other day of the year. Taking the right precautions will ensure you enjoy your holiday instead of dealing with serious injuries or even death. Hillcrest Hospital Claremore is an acute care medical center located in Claremore, OK, and offers a wide range of inpatient and outpatient services including maternity, cardiology, emergency, orthopedics and surgery.